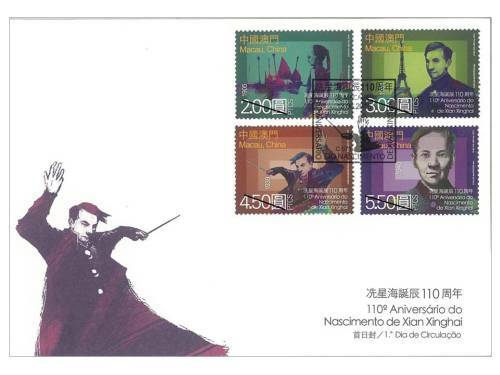 Xian Xinghai is one of China’s most outstanding musicians of the 20th century, was born in a poor fisherman and sailor’s home in Macao in 1905. 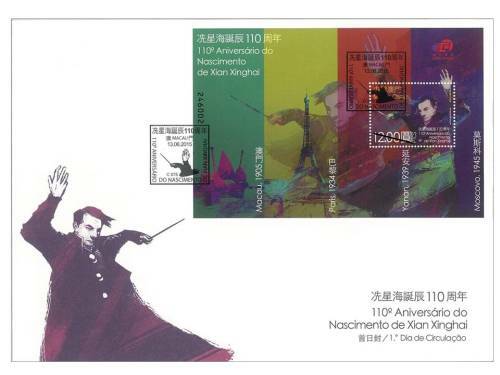 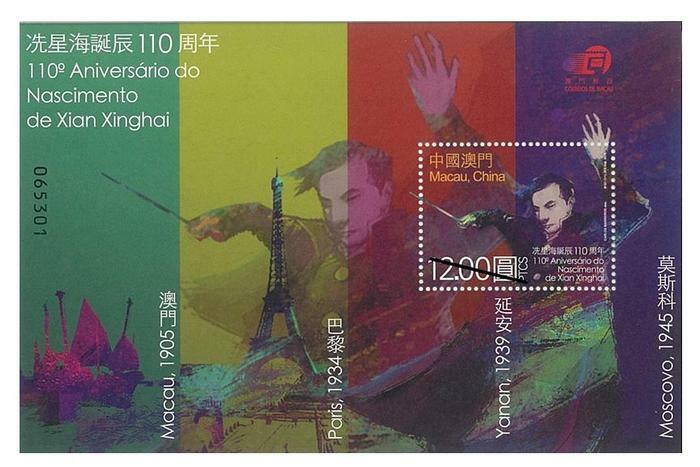 This year is the 110th anniversary of the birth of Xian Xinghai, to commemorate this great Chinese musician, Macao Post will issue the stamp theme “110th Anniversary of the Birth of Xian Xinghai” on 13th June, 2015. 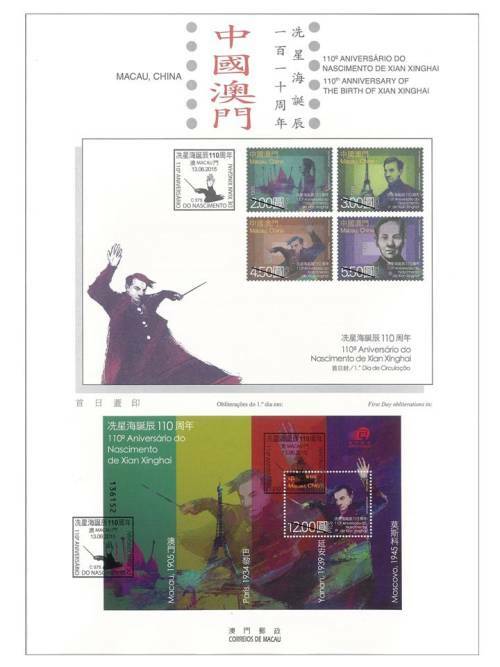 This issue includes a set of four stamps and one souvenir sheet, the stamps depict the four stages of his life: birth in Macao in 1905; studies in Paris in 1934; time as a conductor in Yanan in 1939 and his passing in Moscow in 1945, the respective background colors of emerald green, olive green, vermilion and purple highlight Xian’s different body postures and his forty years of glorious musician’s life; the superimposition of the figures on the four-colored connected background on the souvenir sheet gives prominence to the musician’s heroic posture of holding the baton in hope of giving people the feel of the Yellow River’s magnificent and imposing rhythm and melody. 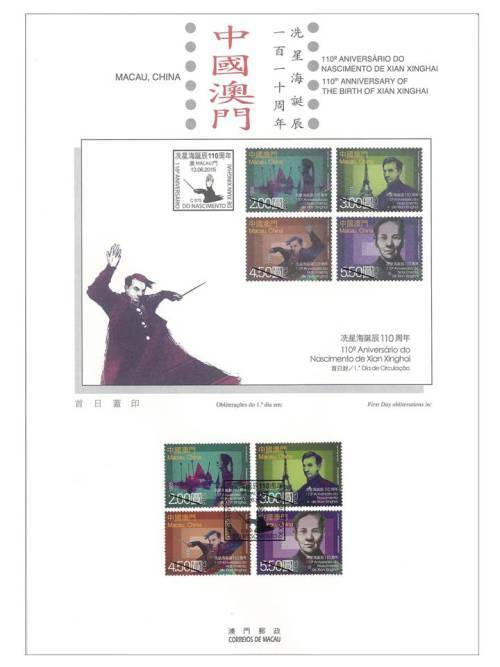 The stamp designer of this issue is Mr. Carlos Marreiros, and the text of the information brochure is written by Mr. Lei Kun Teng. 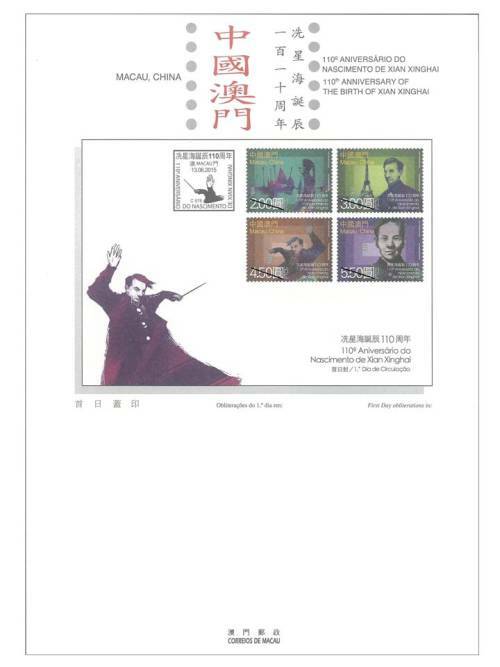 This is the seventh issue in 2015. 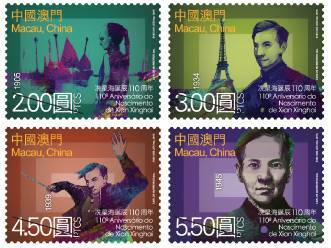 The previous issued stamps are “Lunar Year of the Goat” on 05/01/2015, the label stamp “Lunar Year of the Goat” on 28/01/2015, “110th Anniversary of Rotary International” on 16/02/2015, “Mainland Scenery VI” on 01/03/2015, “25 Years of AICEP” on 27/04/2015 and “Macao Wetlands” on 05/05/2015. 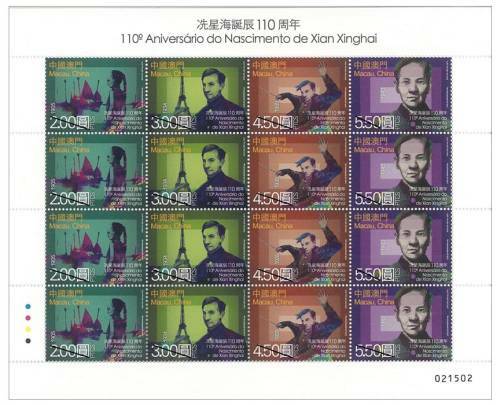 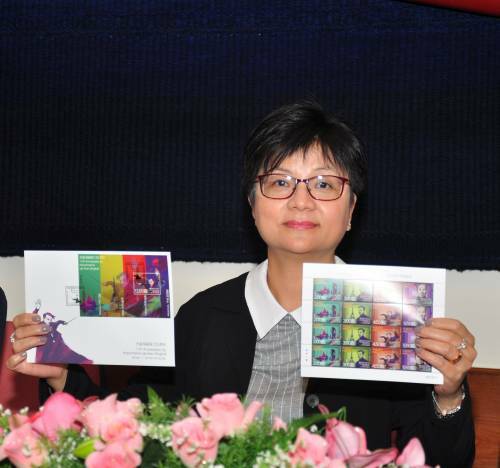 Technical Data of Stamp "110th Anniversary of the Birth of Xian Xinghai"